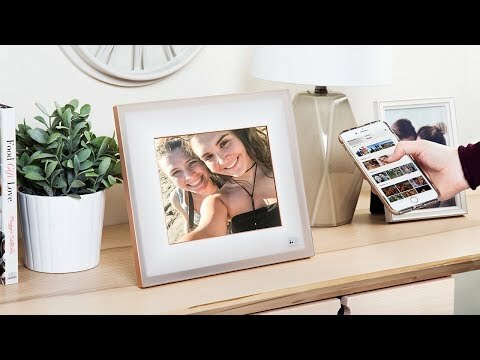 This smart photo frame displays beautiful, high resolution photos directly from devices in your entire family. You can pick photos manually or use the Smart Select feature to import only the highest quality images. It sifts for the best pics and weeds out anything blurry, low quality, or duplicate. Aura has motion and light sensors, too. It’ll cue up a slideshow if someone is near and dim down if you turn the lights off. 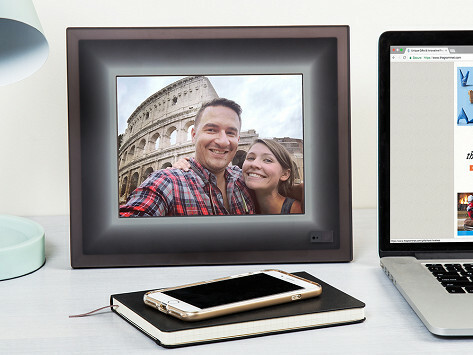 Dimensions: 10" x 11.75" x 0.75"
Perfect gift for parents and grandparents! This was the perfect gift for my BFF’s daughter and her husband, who is an amazing photographer. They both love it. And if you want to flip through the pictures you’ve uploaded, just gesture with your hands.